Support legs are fully adjustable from 730mm to 1055mm as standard. 250 Kg’s load capacity per linear metre based on a level working height. 450mm, 600mm and 750mm standard conveyor widths (900mm width optional). Heavy Duty Castors – 125mm x 36mm swivel castors for maximum manoeuvrability. The castor wheel incorporates a foot operated brake. 40mm dia. heavy duty, steel zinc plated tube with semi-precision bearings. Also available with High Impact PVC Plastic Rollers for the conveying of sensitive loads. 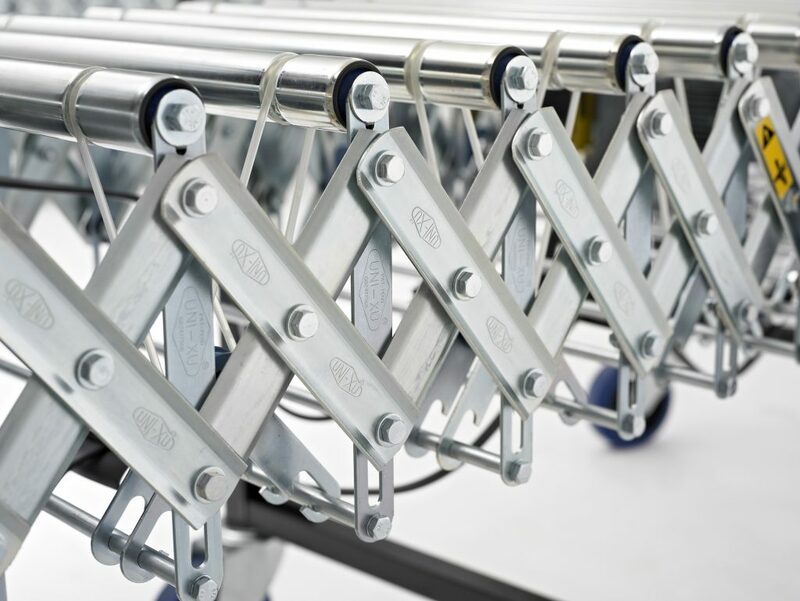 Jig welded and spanning the conveyor width, our one-piece “Constantly Vertical” all steel roller and axle support ensures maximum strength throughout. Drop Down Package Stop – prevents cartons and packages from falling off the conveyor at the discharge end. 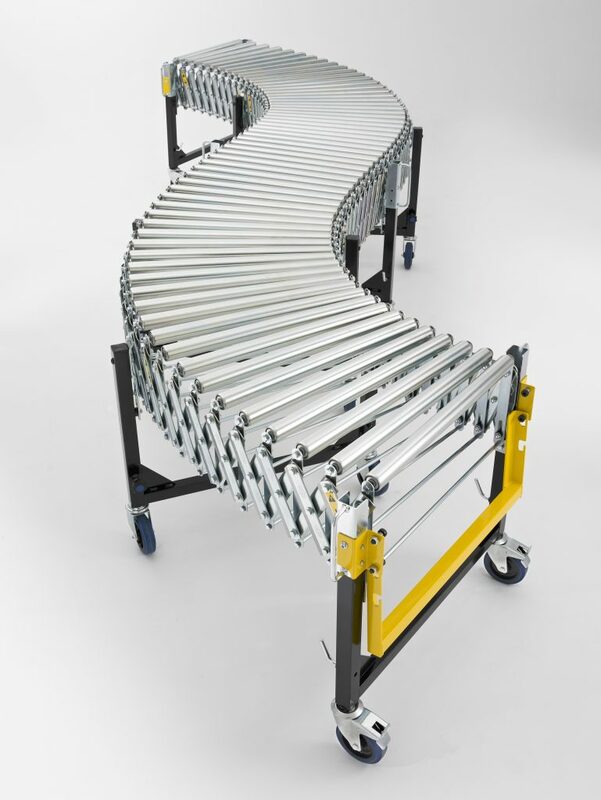 Simply drops down for storage when not required or when connecting to another UNI-FLEX™ conveyor. A larger diameter castor for easier rolling over rough or uneven surfaces. Please note this adds 35mm to the conveyor height.